Meet “Roadie Rathore” – India’s foremost expert on all things automobile. Passionate about cars, Roadie is also an avid biker, travel enthusiast, and F1 fanatic. You can ask him anything and everything about cars or bikes – and he will have the right advice for you. He is live on Fever 104 FM currently and you can follow him on twitter at @roadierathore. 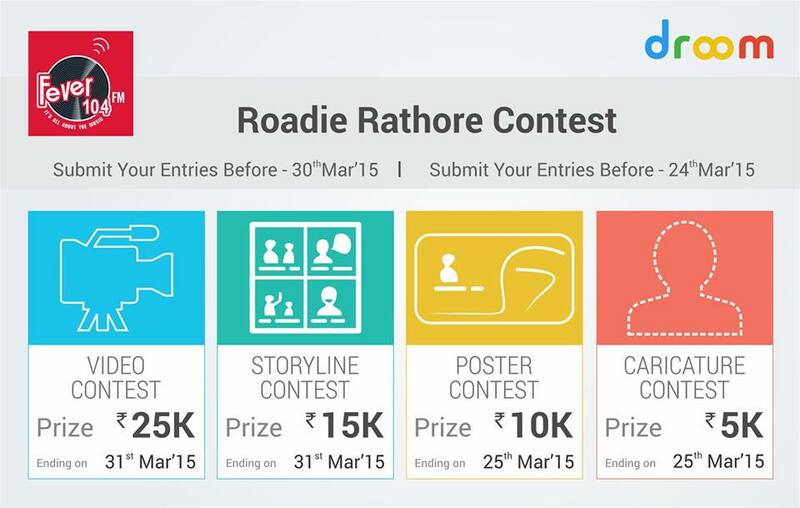 Here’s a chance to showcase your creativity – design a video, story-line, poster, or a caricature of Roadie Rathore and win some amazing prizes!!! Prizes ranging upto Rs 25000! 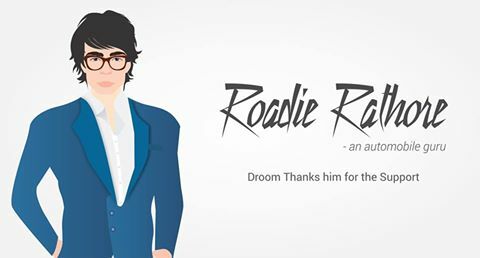 Make a video or poster or caricature or a storyline depicting or starring him and share it with us on fbcontests@droom.in or share it on our wall. Rodie Rathore – “Gaadiyon k baare me inse zada koi nahi jaanta”. TnC – Subject to 1000 participations.